Recently the Washington Post printed an editorial dismissing the need to build high speed rail in the United States (A Lost Cause: The high-speed rail race). My first post responding to this op-ed, in which I argue that transportation diversity is an important consideration may be found here. I also responded to an op-ed by Robert J. Samuelson back in November with a 4-part blog series (1, 2, 3, 4) that addressed the issues raised in this op-ed plus some others. The other problem I have with this opinion article, and that I find with many assertions about how to invest money, is that it is presented in a vacuum. In this case the author is criticizing Obama's proposal to spend $53 billion on high-speed rail projects. The implication is that we could choose to just not spend that money and save $53 billion. The problem is there is no comparison with what the costs are if that investment is not made. In the US, both our air transport systems and our highways are becoming overwhelmed. Many billions of dollars will need to be spent just keeping these limping along. Intelligent investment in high speed rail could offset enormous costs in our air transport system. For instance, in a previous blog I argued that a well-designed Midwest system could potentially eliminate the need to build a third Chicago airport, which might cost as much as $20 billion. Without comparing the investment in high-speed rail with what would need to be spent in its absence, the assertion that we could save all this money is worthless. One cannot say the $53 billion will just be saved, because other transportation will be taken, and costs will be incurred for that instead. Are those other costs higher than the rail costs? I don't know for certain, but they are most certainly very high. Given all the other reasons for investing in rail: environmental, diversification, reduced need for imported oil, reliability, technological advancement, etc., it sure seems like a great investment to me. 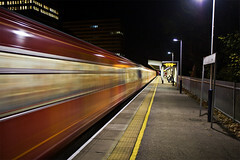 Nice Blog i love to know about transportation and travels.